region. The network currently works with 150 members that have more than 3,462 workers ,who together, care for more than 70,480 children at risk. 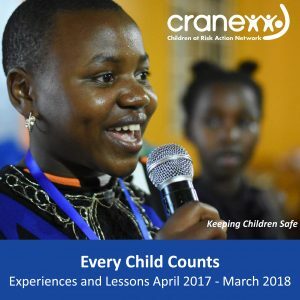 CRANE brings together child care workers, duty bearers and other stakeholders together for collaborative action for transformational change in the lives of children at risk. Children are safe, well and fulfilling their God-given potential. 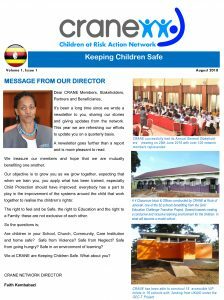 Lasting change for children is realised through networking for collaborative action amongst Children and other stakeholders driven by the values of the Christian faith. To help create a shared vision amongst individual members that signposts common priorities, so that together, we provide quality care for children and creative solutions to persistent problems so that together we see transformational change for children. 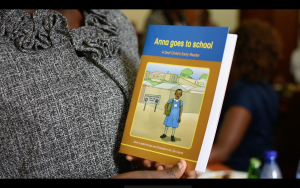 This, model will promote the role of children in finding solutions and advocating for child right and child protection. CRANE is a partner network of the international Christian children’s charity, Viva.